iPod mini. 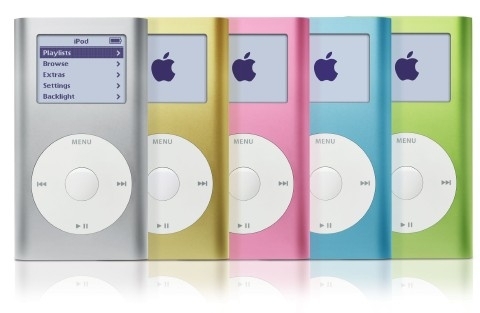 Released 20 February 2004, in 1 & 2GB and officially discontinued on September 7, 2005.. Wallpaper and background images in the iPod club tagged: ipod mp3 mini. Released 20 February 2004, in 1 & 2GB and officially discontinued on September 7, 2005.